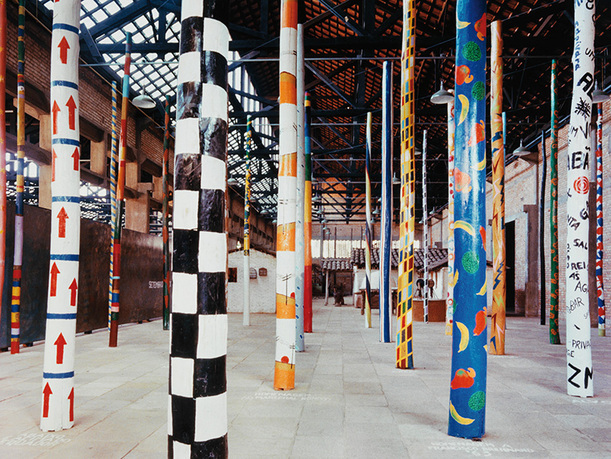 The Graham Foundation is pleased to announce the first U.S. presentation of Lina Bo Bardi: Together—an exhibition that pays tribute to the work and legacy of twentieth-century, Italian-Brazilian architect Lina Bo Bardi. Featuring new works by artist Madelon Vriesendorp, filmmaker Tapio Snellman, and photographer Ioana Marinescu, this exhibition endeavors to inspire new conversations around Lina Bo Bardi’s work. 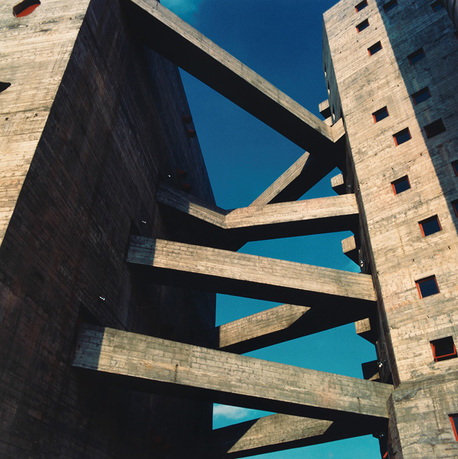 It brings to life the experience of Bo Bardi’s buildings and her inclusive approach to design, which aimed to dispel aesthetic and social hierarchies and embraced the texture and diversity of her adopted Brazil. 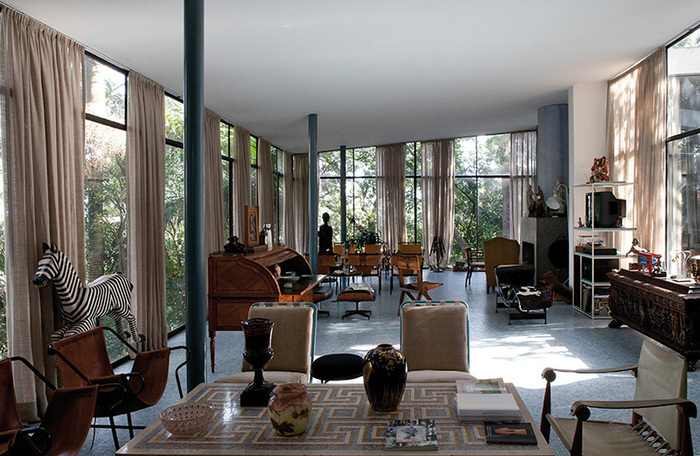 Curated by Noemí Blager and designed by London-based Assemble, Lina Bo Bardi: Together will open to the public with a reception at the Graham Foundation’s Madlener House on April 24, 2015. Noemi Blager is an architect and curator from Buenos Aires, Argentina, who is now based in London. She is former acting director of the Architecture Foundation in London and member of the Design Museum's curatorial committee. 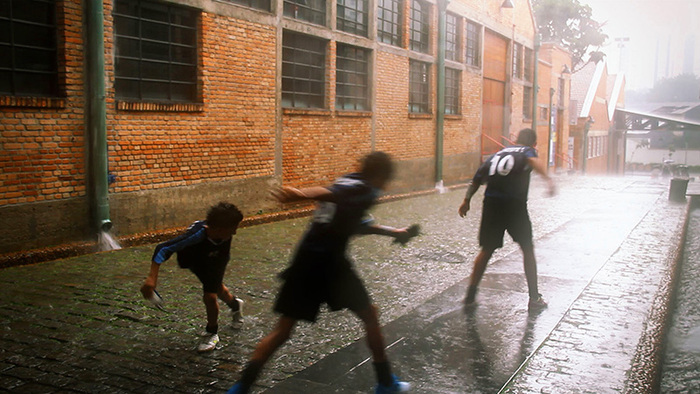 Blager is advisor of the Lina Bo Bardi Fellowship, a project initiated by the British Council to create long-term connections between British and Brazilian artists, designers, and architects. In 2003, Blager collaborated with OMA on the exhibition Content, presented in Germany and the Netherlands. She is the culture and development consultant at the Italian design company Arper. She has been a guest lecturer at the Institut für Kunst und Architektur, Vienna; Kingston College, London; and ESADE, Barcelona; as well as tutor of architectural design at the University of Buenos Aires. Madelon Vriesendorp co-founded the Office for Metropolitan Architecture (OMA) with Rem Koolhaas and Elia and Zoe Zenghelis. Her paintings have been used for numerous book and magazine covers, notably Delirious New York (1978) by Rem Koolhaas. Her work has been exhibited at the Serpentine Gallery (London), Guggenheim Museum and Max Protetch galleries (New York), Centre Pompidou (Paris), Stedelijk Museum (Amsterdam), Aedes Gallery (Berlin), Gallery Ma (Tokyo), Architectural Association (London), and the 2008 Venice Architecture Biennale. Vriesendorp’s work is included in the permanent collections of the Museum of Modern Art, The Canadian Center for Architecture, and Frac Lorraine, France. Since the mid-1980s, she has taught art and design at the Architectural Association, London, and Edinburgh School of Art. Tapio Snellman is a filmmaker, artist, and architect engaged in architectural and urban discourse. His work includes film installations, commercial moving images, experimental 3D animation, and site-specific projections for museums, theater, and dance. He has had long-term collaborations with creators, such as Herzog & de Meuron, Zaha Hadid, OMA, David Adjaye, and Sasha Waltz on film, animation, and performance projects. Snellman received degrees in Architecture and City Planning from the University of North London and Universität Stuttgart, and currently holds a lecturing position at the University of Innsbruck, Austria. His films and installations have been exhibited at numerous venues, including The Victoria & Albert Museum, Tate Modern, The Hayward Gallery, and The Design Museum, London; the Guggenheim Museum, New York; the Kiasma Museum of Contemporary Art, Helsinki; and at several iterations of the Venice Architecture Biennale. Ioana Marinescu is a London-based artist working with photography. She studied architecture in Romania and the UK before turning to photography. Her work has been shown at the Architectural Association and RIBA, London; the Cité du patrimoine et de l’architecture, Paris; the Kunsthalle Exnergasse, Vienna; and the Canadian Centre for Architecture, Montreal. Marinescu teaches architecture at Kingston University in London and runs regular workshops and lectures on photography and architecture. Her PhD at the Slade School of Fine Art is concerned with the relationship between cities and memory. Assemble is a young architecture and design practice based in London. Founded by a collective of 18 members, its work covers a broad range of disciplines, mediums and interests. Through a collaborative working practice Assemble explores design ideas, testing unexpected and imaginative uses of materials and construction. Previous projects range from an experimental theatre space to affordable housing development. Assemble has exhibited internationally, and numerous awards include the Bauwelt international architecture prize (2013) and the New London Architecture Awards (2012). The setting for this exhibition has been designed by Assemble to be a re-enactment of the experience of Lin Bo Bardi’s work. Arper is a furniture design company based in Treviso, Italy, and is the main sponsor of Lina Bo Bardi: Together. 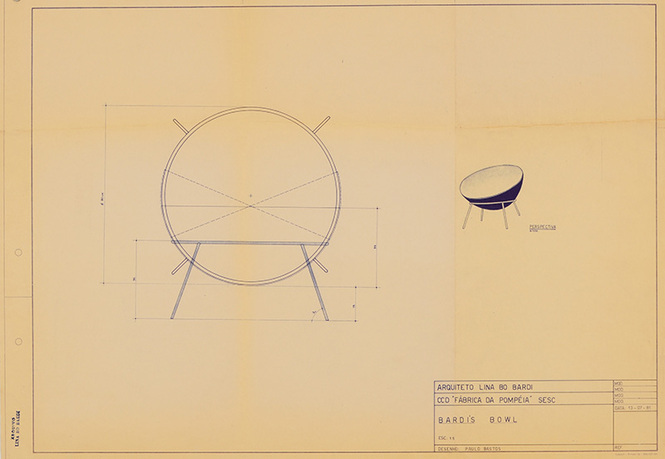 Arper has produced Bardi's Bowl Chair (1951) in a limited edition of 500 in collaboration with Instituto Lina Bo e P. M. Bardi in São Paulo on the occassion of the centennial of Bo Bardi's birth. 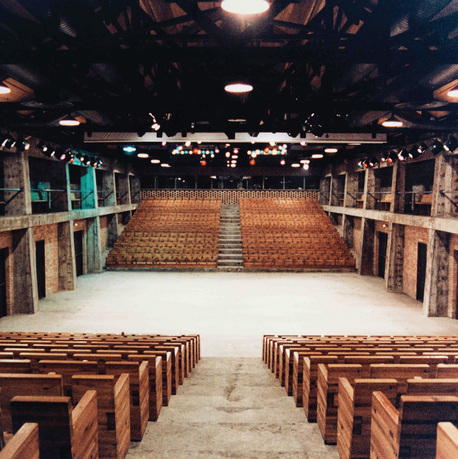 Instituto Lina Bo e P. M. Bardi in São Paulo, Brazil, is open to the public and holds the archives of Lina Bo Bardi and Pietro Maria Bardi. 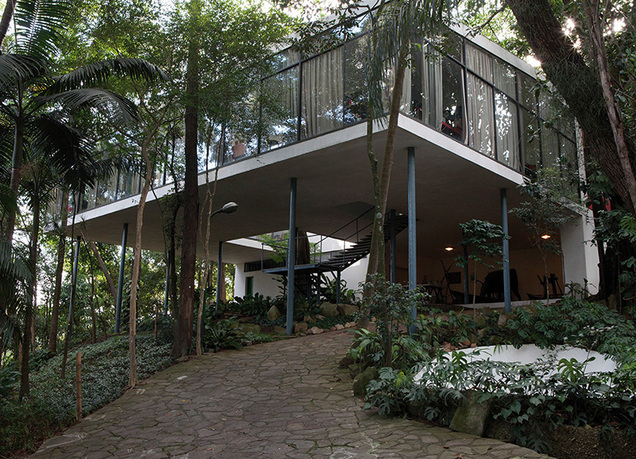 05/14/2015: Lina Bo Bardi: Architect, etc.